In writing a recent guide specification I was asked to describe the difference in all the basic historic mortar binders. I thought for a moment and came up with the following description and short explanation (without the chemistry). Background – Historic mortars can represent four (4) different binder types, or combination of them, depending on the time-period of construction. For example, a building constructed in 1810 might be built with a straight lime putty binder type because the discovery of natural cement binder types had not occurred yet until the early 1820s. A building constructed in 1940 might be built with portland cement (1871) and hydrated lime (1930s). The historic binder types include: non-hydraulic lime (fat lime, lime putty or hydrated lime); hydraulic lime (feebly, NHL 2, moderately NHL 3.5, imminently and NHL 5.0); natural cement; and portland cement. The binder types are all derived from limestone. Each successive type is fired at higher temperatures in a kiln to the point of vitrification or liquid phase (2200-2800F) when portland cement is developed. Lime can be slaked into a hydrate powder or putty form by adding water due to the lower firing temperatures (1650-2000F), while cement products must be crushed mechanically into a powder form before use. Each binder type has its own unique performance properties in relation to historic masonry units and the building wall design. For example, a mortar formula made from lime putty (low compressive strength) will accommodate building movement in load-bearing masonry much more effectively than a portland cement formula of much higher compressive strength. 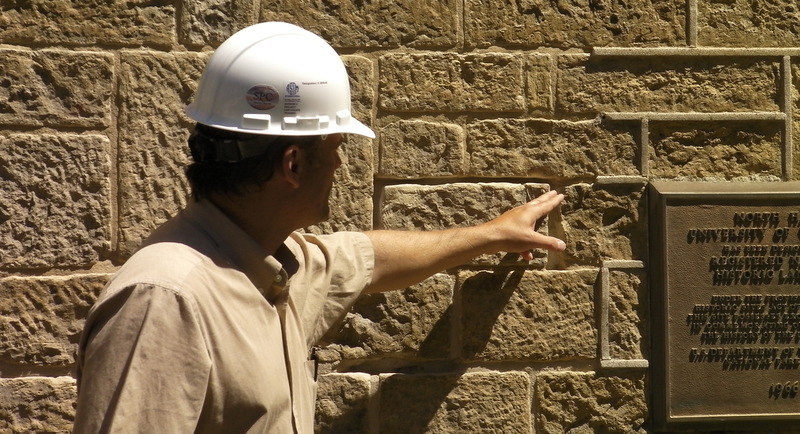 Performance characteristics of the replacement mortar should be identified carefully based upon evaluation of the existing historic mortar. Each binder type or mixture of mortar shall have a cement, lime, or combination thereof consistent with the original existing mortar content in order to provide uniform durability, weathering characteristics, and the same, or better, life-cycle performance expectations. 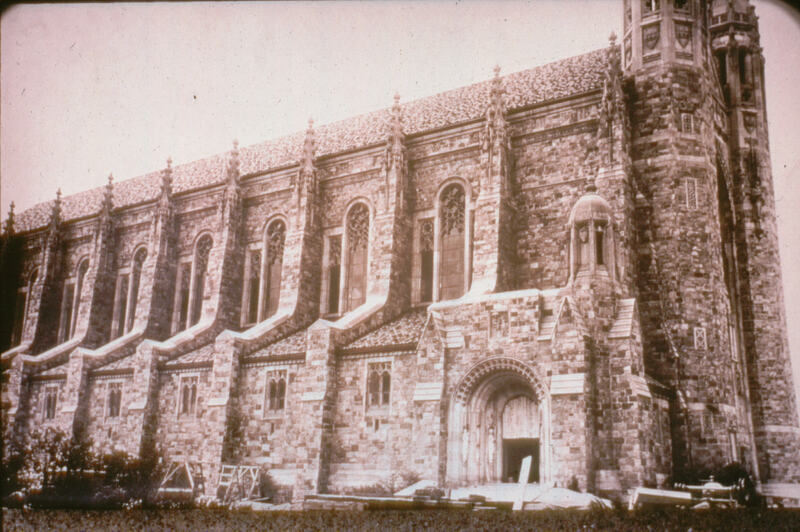 Whitewashing has been used for many years to cover and protect historic masonry, even before it was historic! A whitewashing application involves mixing lime putty with water in a ratio of 1:5 then vigorously stirring the material until the lime putty fully dissolves in the water. Colors can be added from earth pigments but most material was used white – thus the name. The lime (calcium hydroxide) sets slowly by absorbing carbon dioxide from the air. The chemical reaction that occurs produces crystals of calcite. These crystals are unusual because they have a double reflective index: light entering each crystal is reflected back in duplicate. This results in a wonderful surface glow that is characteristic of whitewashed surfaces and is not found in modern paint products or imitation coatings. The application of whitewash acts more like an absorptive stain. It is not a coating so it will not peel-off. 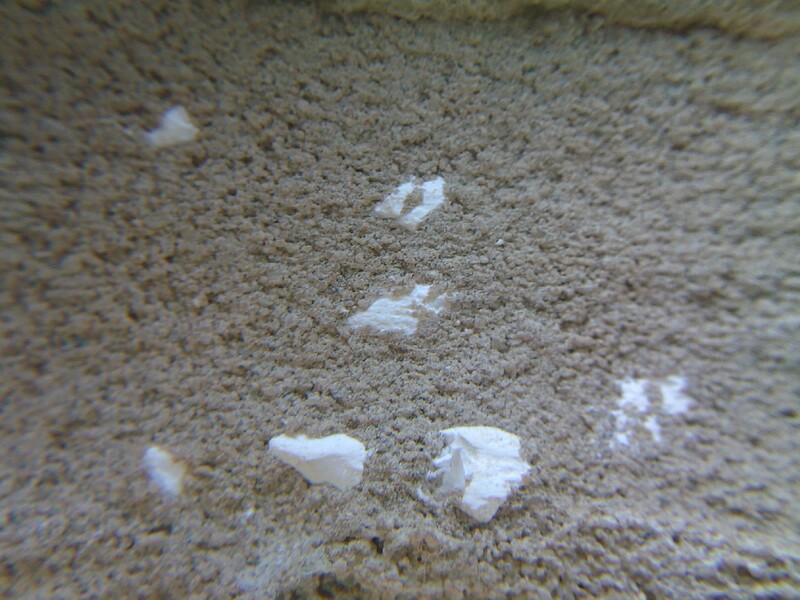 After it hardens whitewash remains vapor permeable and will not trap moisture in the wall. One of the attractive attributes is that it gradually wears off the surface of the wall over time leaving a very pleasant uneven aged look. Many architects and designers seek this look but have had challenges because they have been using the wrong products, such as paint, to achieve the effect. If it is a traditional look you want to specify than its best to go back with the traditional material that will get you there. The key; however, is in thinly applied coats. This facilitates the carbonation process of curing and prevents crazing and cracking. It is helpful to specify onsite application training – as most painting contractors will treat the product like paint and attempt to get the surfaces coated in paint-thickness applications. Most raw masonry surfaces require 3 to 5 applications of whitewash, then after that, just a single coat will do the trick to freshen things up later. I once overheard a colleague of mine describe the process of deteriorating mortar as “romantic decay”, I guess all the years of his travels throughout Europe and the Scandinavian countries he had seen his share of crumbing bricks and mortar and had become un-alarmed about the condition. Interestingly enough, it seems the opposite is true here in the United States. We tend to get all worked up about crumbling mortar, especially the condition when the material turns to sand in your hand when you rub on it vigorously between the brick. But according to the Preservation Briefs 2, “Repointing Mortar Joints in Historic Masonry Buildings” describe a different view of a good working replacement mortar. In fact, the mortar could be called a “romantic decaying mud” depending on how you look at it. Here is what Brief 2 has to say about repointing mortar. “In creating a repointing mortar that is compatible with the masonry units, the objective is to achieve one that matches the historic mortar as closely as possible, so that the new material can coexist with the old in a sympathetic, supportive and, if necessary sacrificial capacity.” We have mortar all over this country trying to sacrifice itself for the good of the masonry units by falling apart in historic masonry walls! But unfortunately, we also have many engineers and architects, building owners and contractors doing their best to prevent the process from occurring. When the romantic decay is identified the sure tell remedy is usually a stronger mix design one that contains a large amount of portland cement to go back in with during the repairs. A new mortar without the romance and certainly no sacrifice. 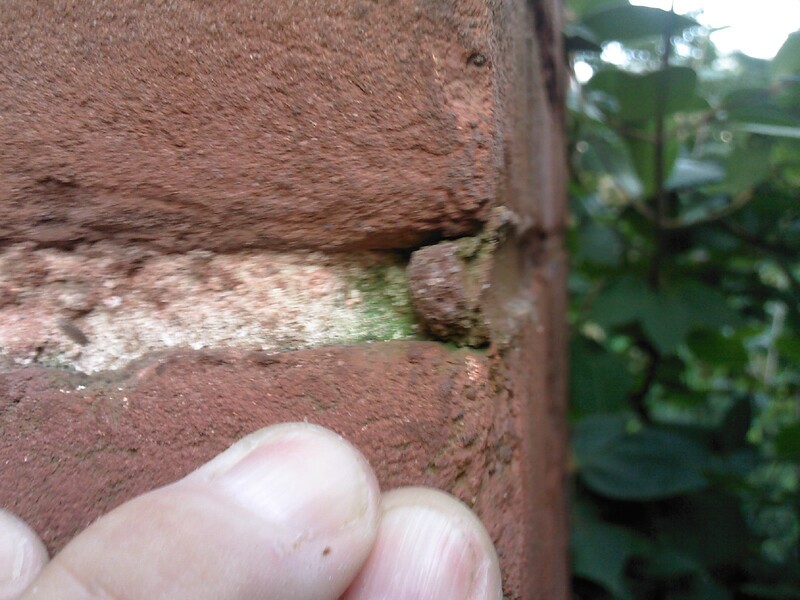 As we continue our work on important historic masonry structures lets – let the mortar help us to identify the real problems – usually the water infiltration somewhere, somehow. Blame the water not the historic romantic mud! The building boom from 1880 to 1900 opened a new door in the chapter of material specifications. Steel rail producers and steam engine builders who began using Bessemer steel could no longer rely on craft experiences of centuries past. New technical expertise was required. 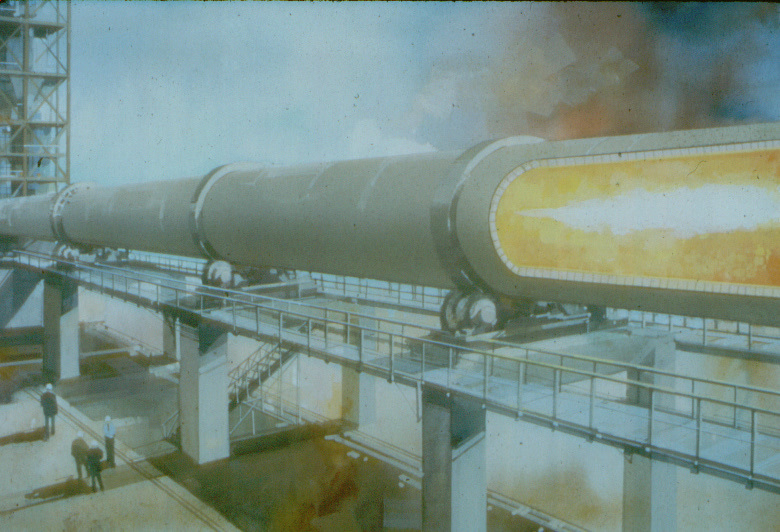 Several large steel producers in the United States attempted to implement their own ideas to produce better steel, but these efforts never made it into the marketplace. The added cost to produce better steel products was thought by the management of these large companies to not be worth the price of losing market share. As a result, continued to produce large quantities and low prices, believing this was what the customers wanted. Not surprisingly, numerous quality problems with steel rails came to light though independent investigations into derailments. In fact, American steel rails were so poorly made that many railroad companies preferred British imports, which were far more expensive but much more reliable. It was clear something had to be done. Some type of standard material specification was needed. Progress was nevertheless very slow in coming. Manufacturers in the construction industry objected to standards material specifications and testing because they feared that placing strict quality controls on products they produced could make customers more inclined to reject items and default on contracts. Material standards were thus not well received and remained very controversial. The evolution of masonry mortar in America has undergone many interesting changes over the last two centuries. The ingredients of mortar, methods of producing mortar, and specifications have all changed in some way. Many of these discoveries originated in Europe and eventually reached America many decades later. For example, Smeaton’s discovery of hydraulic lime in 1756 was not fully realized in America until the building of the Erie Canal in 1817, some 61 years later. The English discovery of portland cement by Joseph Aspdin in 1824 took 47 years before it was ever manufactured in the United States in 1871. 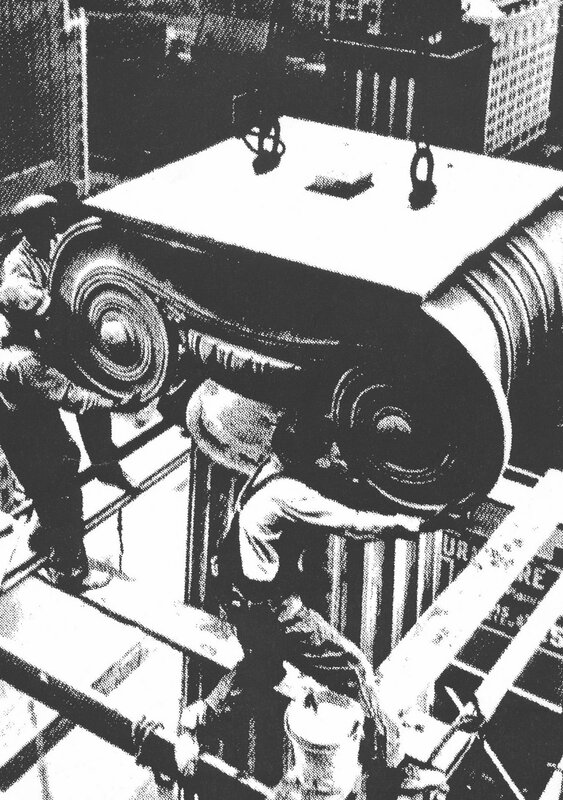 The development of masonry cement in the 1920s was the most interesting of mortar developments in the United States. The relationship between the cement and lime industries has been strained ever since, due to the fact that masonry cement was the first formulated mortar product that did not contain hydrated lime as a major ingredient. As a result, two sides of the mortar industry have evolved since the early 1930s. 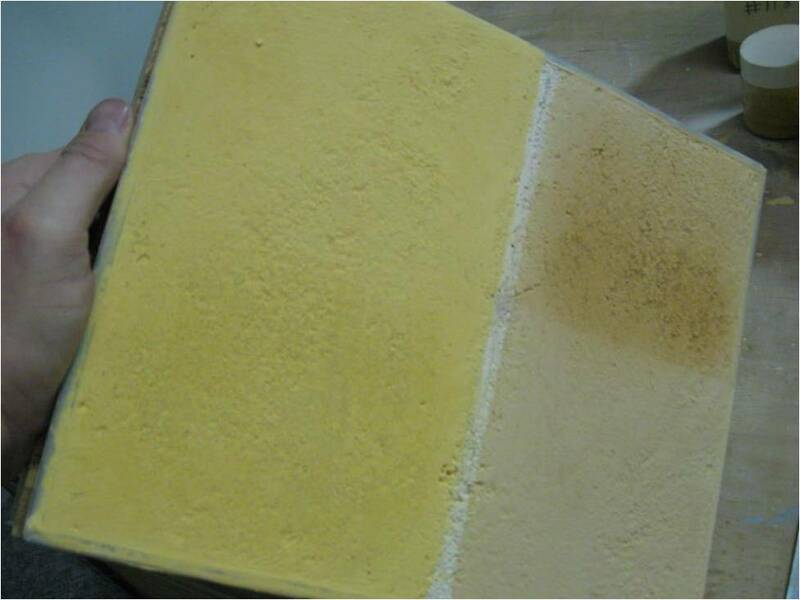 Some promote mortar products with hydrated lime, and some promote mortar products that do not contain hydrated lime. The methods of producing cement and lime changed at the beginning of the 2oth century, allowing much more material to be fired in a shorter period of time with the use of the rotary kiln. The use of the mortar mixing machine after World War II and the introduction of the mortar silo systems after 1988 were both substantial improvements that directly influenced the methods of mixing mortar at the jobsite. The American Society for Testing and Materials (ASTM, 1902) has been instrumental in providing the construction industry with voluntary standards on mortar products. The society has ultimately pioneered the way to standardization which has lead to better mortar products and more efficient methods of production. By taking this look into our past, it is hoped that we can gain some insight into our future. In the restoration business owners and architects need to know how to define their expectations from contractors regarding workmanship and quality. One effective way to deliver this is through test panels and mockups. They help to confirm material selection and methods of installation as well as historic profile finishes that need to be matched to the existing building. Visual test panels installed prior to the bidding process is the most cost effective way to steer the contractors down the right road when it comes down to pricing out a project. Contractors appreciate owners and architects that have set aside some money in the design and development stage of the project to establish material matches, like brick, stone, mortar and plaster among other materials. Attributes such as color and texture can be reviewed and agreed on by the project team, with any adjustments made before the materials are ordered and installed. The owner, architect and contractor can use test panels and mockups as a way to evaluate efficiency and effectiveness of the completed work. Technical field representatives can also be on hand to offer suggestions for recommendations to improve product performance. Once approved, test panels and mockups should be the standard for the work and retained for reference throughout the construction phase to serve as a basis for comparison to the work-in-progress. Whether part of the contract documents or performed under a separate arrangement prior to bid, test panels and mockups should 1) address the range of conditions representative of the entire project; 2) be installed with the specified materials next to the original materials; and 3) be installed by the workers that will be performing to work in the construction phase. Failure to execute effective test panels and mockups can result in unnecessary additional work due to an unhappy building owner and his picky architect.